TN! 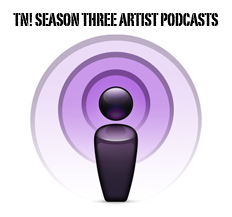 Season 3 artists | Hamilton Dramaturgy's TheatreNow! Kate Valk, one of America’s most revered theatre-makers, has been astounding audiences worldwide for 30 years with the memorable roles she has created for The Wooster Group, the premier experimental-theatre ensemble in the United States known for its irreverent, boundary-pushing productions that challenge seminal texts by manipulating narrative and using high-tech innovations. Drawn to theatre as a means of reinventing herself, Valk entered New York University’s drama department at 19 and spent two years studying with world-renowned acting teacher Stella Adler before encountering Elizabeth LeCompte, The Wooster Group’s director, and the troupe’s other co-founders at NYU’s then-new Experimental Theatre Wing. In 1979, she joined the collaborative ensemble, first making costumes, then as a stage manager, and, finally, in 1981, performing her first role in ROUTE 1 & 9, a controversial version of Thornton Wilder’s OUR TOWN in which the Group recreated black vaudeville routines. She has acted in every Wooster Group play ever since. “I have so much power and liberty working with the Wooster Group at the Performing Garage,” she says. Valk’s lifetime of unorthodox portrayals include pivotal performances in L.S.D. (…JUST THE HIGH POINTS…) (1984), based on Arthur Miller’s THE CRUCIBLE, and BRACE UP!, from Chekhov’s THREE SISTERS (1991). More recently, she has appeared in such deconstructed classics as the Gertrude Stein-inspired HOUSE/LIGHTS (1997/2005); Eugene O’Neill’s THE EMPEROR JONES (1993/2007), in which, in blackface and a Kabuki-influenced costume, she transgressed the boundaries of race and gender; and an avant-garde HAMLET (2006/07), playing Gertrude and Ophelia. 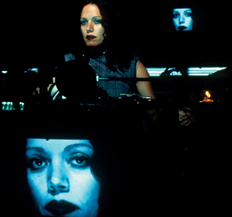 Although she has also appeared in films by directors Jonathan Demme, Raúl Ruiz and Peter Sellars, Valk is a consummate stage actress who has received numerous awards for her work, among them an OBIE for Sustained Excellence in Performance (1998) and a Bessie Award for Best Performer (2002). The Olivier and OBIE award-winning British designer Rae Smith works regularly in a wide variety of styles and genres. This diversity has taken her from Slovenia to Broadway. Rae Smith’s theatre designs are frequently seen in Britain in the West End, at the National Theatre, the Royal Court, the Lyric Hammersmith, the Royal Shakespeare Company, Theatre de Complicité and in a variety of experimental theatre companies. For the National Theatre, Rae Smith’s designs include: SEASON’S GREETINGS, OR YOU COULD KISS ME (2010), ALL’S WELL THAT ENDS WELL (2009), WAR HORSE (Olivier Award 2008, Evening Standard Best Design Award 2007, currently in the West End), ST JOAN (2007 South Bank Award), THE SEAFARER by Conor McPherson (also Broadway 2007); A PILLAR OF THE COMMUNITY, THEATRE OF BLOOD and CLOSING TIME. For Complicité her designs are THE VISIT, THE STREET OF CROCODILES (also National Theatre and West End), WISEGUY SCAPINO, HELP I’M ALIVE and AVE MARIA. For the Royal Court, Rae has designed three plays by Conor McPherson: SHINING CITY (also Dublin), DUBLIN CAROL; and THE WEIR which enjoyed huge success in the West End and on Broadway as well as on tour worldwide. Other Royal Court productions include FACES IN THE CROWD (2008), CRAZY BLACK MOTHERFUCKING SELF, PRESENCE, SOME VOICES and TRUST. Her collaboration with Neil Bartlett at the Lyric Hammersmith has produced OLIVER TWIST (also [with American Repertory Theater] in Harvard, New York + OBIE Award and San Francisco 2007), THE SERVANT; THE WHITE DEVIL, PINOCCHIO, CAUSE CELEBRE, SARASINE, MRS WARREN’S PROFESSION, A CHRISTMAS CAROL and THE LETTER. 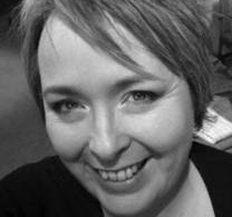 She designed Marlowe’s DIDO, QUEEN OF CARTHAGE for Neil Bartlett at the Arts Theatre Boston, and AN IDEAL HUSBAND at the Abbey Dublin in 2008 (Best Costume Designer, Irish Times Award 2009). Abroad, Rae Smith worked throughout former Yugoslavia on devised works including ALICE IN WONDERLAND and SILENCE, SILENCE, SILENCE (Mladinsko Theatre, Slovenia). In 2009 she designed Du Maurier’s THE BIRDS adapted and directed by Conor McPherson for the Gate Theatre Dublin. Opera and music theatre designs to date include Sondheim’s A LITTLE NIGHT MUSIC at the Théâtre du Châtelet, Paris; THE RITE OF SPRING (2009) with Michael Keegan-Dolan’s Fabulous Beast Company at the English National Opera; RUSALKA (Glyndebourne 2009); SIEGFRIED, DIE WALKÜRE, DAS RHEINGOLD (Opéra National du Rhin, Strasbourg); BIRD OF NIGHT (Royal Opera House, Linbury Theatre); THE RAKE’S PROGRESS (Aldeburgh), A MIDSUMMER NIGHT’S DREAM (La Monnaie, Brussels); SKELLIG (The Sage Gateshead); THE TURN OF THE SCREW (Brighton Festival); DON GIOVANNI (Welsh National Opera); THE MAGIC FLUTE (Scottish Opera, Opera North and Garsington); THE MAIDS (Lyric Hammersmith); TX3 (ENO Studio). Rae Smith’s narrative drawings are seen in WAR HORSE in the West End; others are published in Screenpress Book’s THE EXORCIST, and she created a graphic novel based on DON GIOVANNI at the Welsh National Opera. Other drawing work includes a visual libretto for the contemporary operas TX3 and THE HOUSEWARMING (National Theatre and English National Opera studios). She has performed her drawings on an overhead projector as part of a live theatre piece based on FRANKENSTEIN at the National Theatre studio and has held an exhibition of drawings at The Centre for Drawing, London. Margo L. Jefferson is the New York Times’ theater critic-at-large, after serving as its Sunday theater critic and critic on the culture desk. Before joining the Times, Ms. Jefferson lectured on American literature, performing arts criticism, writing, and English at Columbia University. 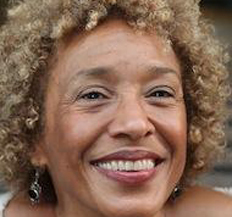 Ms. Jefferson won a Pulitzer Prize for criticism in 1995 and recently won a Guggenheim fellowship. 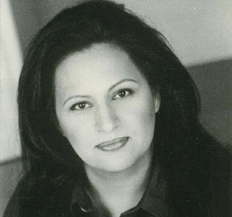 Maria Alexandria Beech’s plays include Bonds, When Jesus Returns He’ll be Cuban, Twenty Cent Opera, Dove Hunting, Black Roses (Bad Title), Saving the Lives of Strangers, Lima Beans, Charity, Gloria, and Breaking Walls, produced at The Cherry Lane in 2006. Her translation of Eduardo Machadoâ€™s The Cook premiered at the Stages Theatre. Her translation of Luis Ayllonâ€™s The Camels was commissioned by The Lark Play Development Center. 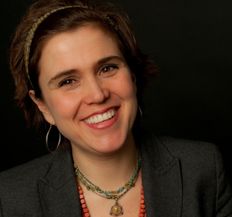 She is a member of The Dorothy Strelsin New American Writers Group at Primary Stages Theatre. Her short plays have been presented at the Flea Theatre, The Culture Project, Blue Box Productions, and Intar. Her plays Designer X, Your Face, and What Are You Doing Here, will be presented at The Planet Realities Festival. In 2009, Alex was the recipient of The Aspen Theatre Master’s Visionary Playwright’s Award. She received her BA and MFA from Columbia University. Murielle Borst Tarrant is an author, playwright, director, producer, cultural artist, educator, and human rights activist. She has a BFA in Fine Arts from Long Island University. She comes from a long line of cultural activism with her family’s theater company the world famous Spiderwoman Theater. Her non- fictional work is published by Miami University in Oxford Ohio on the Spiderwoman Theater methodology. She works on the deconstructing of methods of the arts in Native communities in urban areas across the country, Canada, and in the New York City education system. She also consults many urban and non- urban universities on the development on Native theater programming. Nominated for the Rockefeller grant in 2001, won a Native Heart Award and was the only Native American Women to have her work to be selected by the Olympic Games in Sydney Australia at the Sydney Opera House for her one woman show “ More than Feathers and Beads”. For four years she served as the Special Assistant and liaison to Tonya Gonnella Frichner the North American Regional representative to the United Nations Permanent Forum on Indigenous. Murielle as a director has directed Muriel Miguel in her one woman show “Red Mother” at LaMaMa and across Canada. She is also Founder and editor in chief of Eastcoastnative.com an electronic magazine that addresses the artistic, political, social and economic Indigenous issues in urban areas on the east coast, including Canada. This her first fantasy series. When she is not working or writing she is enjoying her two cats, Attia of the Julii and Scarlett O’Hara including her turtle Nutso Tarrant. She resides in Jersey City with her husband of 17 years Kevin Tarrant lead singer for the Silvercloud Singers and being a mother to her college student daughter Josephine Tarrant. 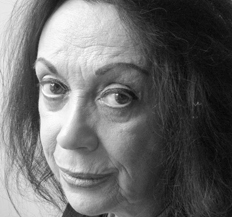 Judith Malina is the co-founder and artistic director of the world-renowned LIVING THEATRE, the longest producing theatre company in New York and the United States. Her work and that of The Living Theatre has, since its inception in the 1950’s, continually challenged the forms, content and style of the theatre and its relationship to and with the audience. Beginning with its historic introduction of plays by Brecht, Picasso, Gertude Stein, Pirandello, Paul Goodman, Lorca, Jarry, Auden and Cocteau, and their break-through productions of William Carlos William’s Many Loves, Jack Gelber’s The Connection and Kenneth Brown’s The Brig, they singularly altered the landscape of the New York theatre.